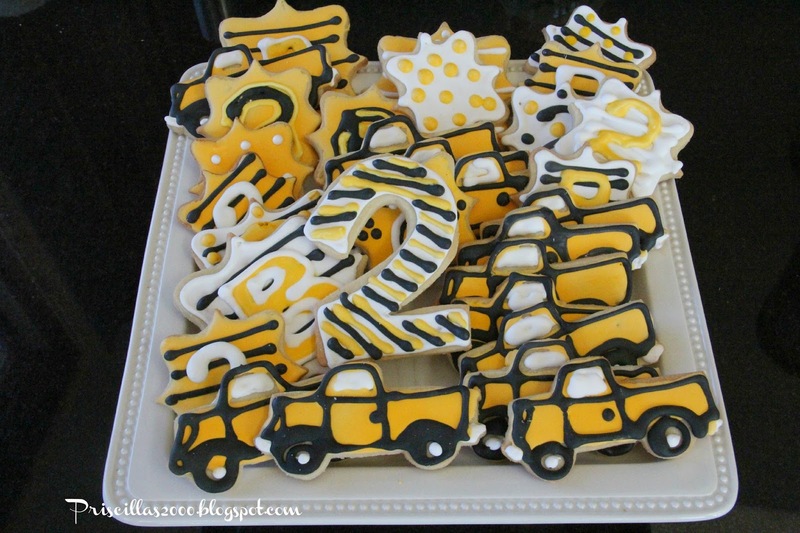 Priscillas: Brettons 2nd Birthday Truck Cookies ! It was the youngest Grandsons 2nd birthday yesterday ..He loves trucks .. so this is what I came up with.. 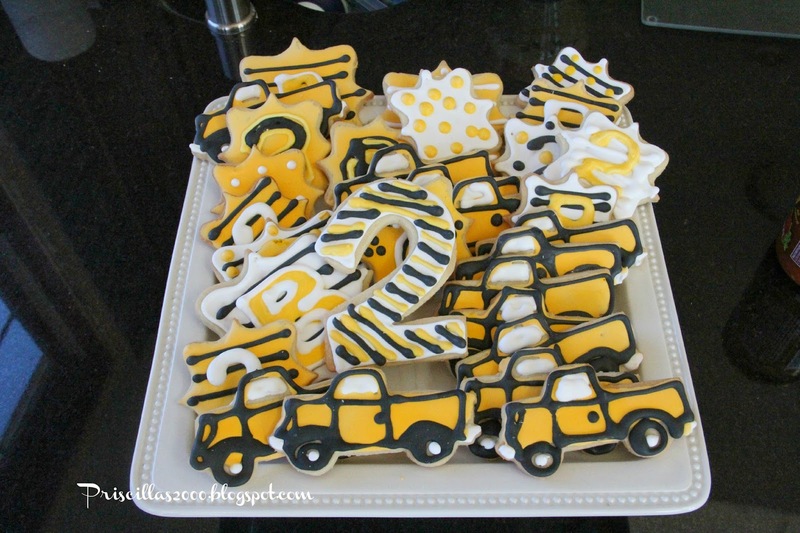 I used this truck cookie cutter that actually has a Christmas tree hanging out the back and just cut the tree part off..Made lots of "2" cookies and "B" cookies! His parents had a great party for him , and he sure had fun ! I love the photo of him above feeding his brother some of the frosting from his cake .. so sweet! Happy Birthday Bretton!!! Love the cookies you did for him! So cute. I haven't done any decorated sugar cookies for some time. I think I will make some for Easter. I caught up while visiting here today. Loved your Spring touches in the hutch, an the new runner, and white tureen!!! Great bargain! 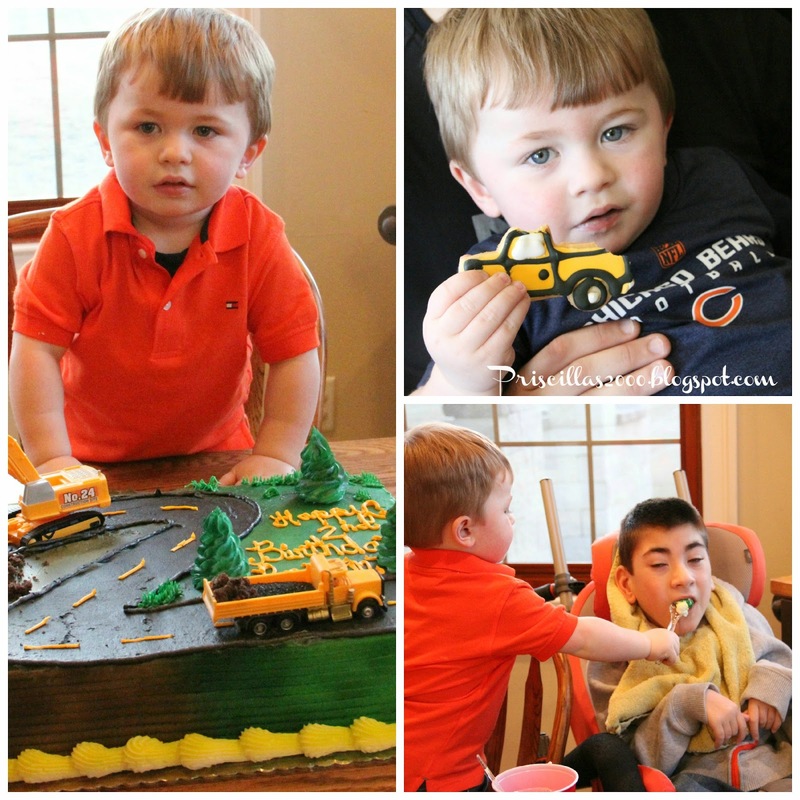 Love the shot of Bretton feeding his brother some icing...so precioius!!! Hope your snow melts soon!!! A very Happy Birthday to Bretton! !He is such a cute little boy and it looks like a very kind one! Cookies are amazing but I would expect that from you!! You do so many wonderful things!! What wonderful looking cookies!!! Great job. I never have had great luck at cut out sugar cookies. My recipe must be horrible that I try to use. What adorable cookies! 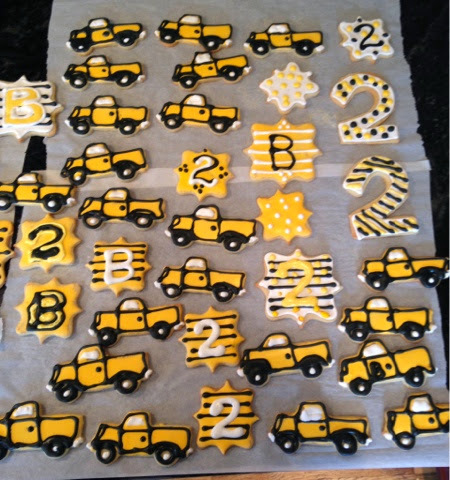 I once made pickup truck cookies for a WEDDING! The couple had dated in an old pickup truck so . . .
you are the cookie queen. your christmas cookies so amazed me that I think I sent a link to them to everyone that I knew. LOL my grandson would love these too! He is 4 1/2 and loves everything concerning construction. Your little sweetie is just adorable! :) As are your cookies!!! The cookies are absolutely darling Priscilla! My 4 year old grandson loves trucks too. Your little guy is a doll! Thanks for sharing with SYC.